Euromarine d.o.o. 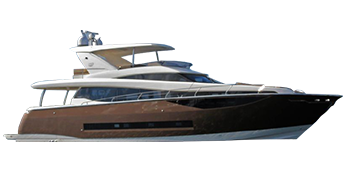 has expanded in its 20-year business to 4 charter bases along the Adriatic coast due to policy of affordable prices, quality boats and reliable service. We have put up a fleet of 100 vessels. In Pula, Biograd, Split and Dubrovnik, is a young fleet of vessels in the 26-54 feet of length, mainly Jeanneau, maintained by our professional and highly qualified staff. Every year we expand and renew our fleet with new models and new vessels. Our offices on the Adriatic coast are located in Aci marinas, except office in Biograd, located in Marina Kornati . In accordance to the interest of clients this year, Biograd is considered most attractive starting destination because of its proximity and the possibility of Kornati one-way charters to Pula, Split and Dubrovnik. All our boats are equipped with the relevant security, navigation and other equipment that will meet the standards of each client. In our offices in disposal is professional and highly qualified personnel that will help at any time. 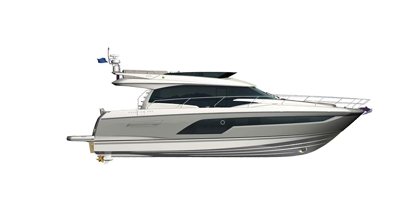 EUROMARINE d.o.o., a general representative and distributor of boat manufacturers Chantiers JEANNEAU provides service support (guarantee and non-guarantee services) for all vessels of the above manufacturers. Manufacturer of vessels, Chantiers JEANNEAU, offers warranty on the hull of sailing yachts (construction, structure, etc. 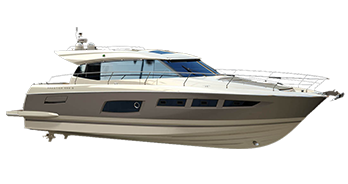 )in length of 5 years after purchase and 3 years for the motor boats and 1 year for the equipment mounted in the shipyard, with the exception of vessels used in commercial purposes (charter) where the manufacturer’s warranty on the hull is valid for the period of 1 year. When other equipment is installed on the vessel, and that equipment is of other manufacturers (engine, instruments, heating, etc.) the length of the warranty depends on the type of equipment and manufacturer. We organize all types of transport of vessels and equipment from the factory to any destination on the Adriatic. We offer our clients the possibility of procurement of original spare parts of manufacturers Chantiers JEANNEAU for all vessels from the program. After receiving your inquiry by e-mail, telephone or fax, we send you an offer and information about features, price and delivery of the requested spare parts or service. After receipt of confirmation of your order we start realization of the procurement. Urgent items and small parts are shipped within 7 days of order confirmation and orders of large parts (quantity, size or weight) are usually transported on vessels that are delivered to Croatia. Furthermore, we offer you ... equipping and installation of other marine equipment needed to conducting your boat comfortably and safely (installation of bow propellers, generators, refrigeration, inverter, charger, service and supply sails, etc.)! In the event of damage caused by unwanted weather and human factors, we will send a complete offer for the repair of damage to insurance.